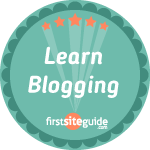 Sponsored Post – The following is a paid sponsored post. 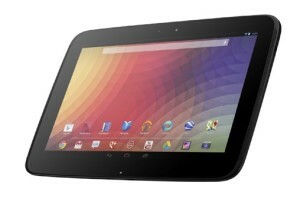 Google has partnered with Asus and Samsung to produce it’s Nexus line of tablets. These tablets are free from carrier and manufacturer OS modifications. This leads to a pure Android experience for users. So, these tablets are great for personal use but what about for business users? Can the Nexus line of tablets hold up to the demands of business? Lets find out. 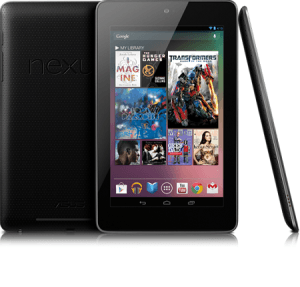 The Google Nexus 7, manufactured by Asus, boasts an NVIDIA Tegra 3 quad core processor and 1 GB of RAM. This means that it is fast and can handle a lot of tasks at one time. The Nexus 7 features wi-fi and Bluetooth connectivity. There is also a cellular version for those times when you aren’t near a wi-fi signal. GPS, NFC, Accelerometer, and a front facing camera makes the Nexus 7 a great choice for a small tablet. With it’s small form factor, the Nexus 7 is perfect for pulling out of your bag while on the train or waiting on a meeting. The front facing camera means that you can participate in video conferences and not miss out while on the go. And since it features scratch resistant Corning Fit Glass, you don’t have to treat it with kid gloves. 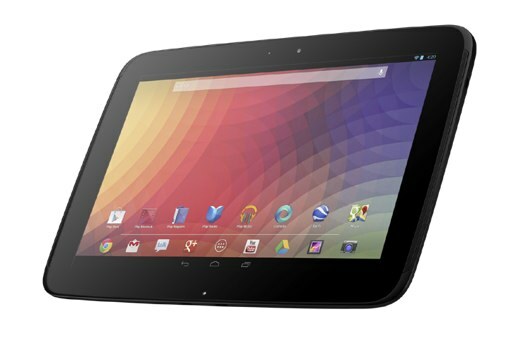 The Nexus 10 is manufactured by Samsung and has a dual core processor with 2GB of RAM. The screen features Gorilla Glass and is very durable. The Nexus 10 has both front and rear facing cameras. So you can still use the device for video conferences and the addition of a rear camera opens up more options for presentations. Like the Nexus 7, the Nexus 10 has GPS, Accelerometer, and NFC. For connectivity, you have wi-fi and Bluetooth but no cellular version for the Nexus 10. This makes sense because you are less likely to pull out a 10 inch tablet on the go. The Nexus 10 would be the ideal tablet for an office environment as opposed to taking the tablet in the field with you. The Nexus 7 and 10 both feature the latest Android version and have access to the large number of android business apps in the Google Play store. Impressive specs and durable hardware make these tablets a great choice for business use. Lastly, the price of these tablets, when compared with Microsoft and Apple tablets, make them a very cost effective solution.